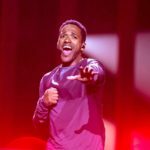 Following last year’s successful participation of Cesar Sampson who finished in the honorable 3r place of the grand final, the Austrian national broadcaster, ORF, opted once more for an internal selection in order to determine its Eurovision 2019 act. The national broadcaster concluded in PAENDA and the song Limits. 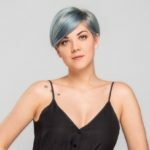 Pænda (or Gabriela Horn as her real name is) was born in 1989 at the city of Deutschlandsberg in southeastern Austria, and apart from a singer she is also a composer and producer of electropop music. The 31-year-old electronic-pop artist Pænda, who learned to play the guitar and piano at the age of 14, moved from the Styrian region to Vienna when she was 20, to study jazz at the Vienna Music Institute. Her project Pænda was launched in 2015 with her first singles “Waves” and “Good Girl”. Her debut album “EVOLUTION I” in 2016 will be followed by her second album “EVOLUTION II”, to be released on April 26. She composes, writes and produces all of her songs, which are influenced by a variety of music genres like electronic-pop, EDM, house, hip hop and trap. Being aware of the moments where I needed a break was a process for me. It was a long and at times difficult road to learning my own limits. 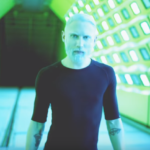 Austria debuted at the Eurovision Song Contest in 1957 and has won the competition twice with Udo Jurgens in Eurovision 1966 and the song Merci, Chérie and Conchita Wurst and her entry Rise Like a Phoenix in Eurovision 2014. In 2018 Austria selected Cesar Sampson via an internal selection and represented the country with his entry Nobody but you. The Austrian act achieved a honorable 3rd placing in the Grand Final by winning the jury voting winning the jury voting.